Yep, I did it…1,000,000 miles, yes really, one million lifetime miles and that doesn’t include racing miles. It only took me 50 years but hey…I made it. It all (long distance traveling) started in 1971, my friends Beny (on a somewhat chopperized Honda 350), Mike on a stock Yamaha 650 and me on a Honda SL350 (which shortly after this trip got converted into a Desert Racer) headed up into the Sierra’s. A week of riding like that got me hooked. 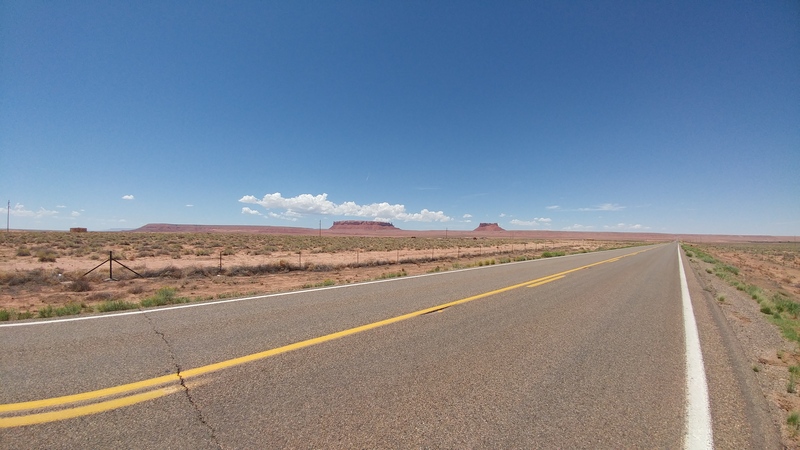 After that it was back and forth to New Mexico…the long way, and all around the Southwest. Next was my first ride up to Canada with my ski racing and riding friend Bud. It was one of those rides where we would camp 3 nights and then hotel it a night so we could shower and sleep comfortably. But this last trip was special. 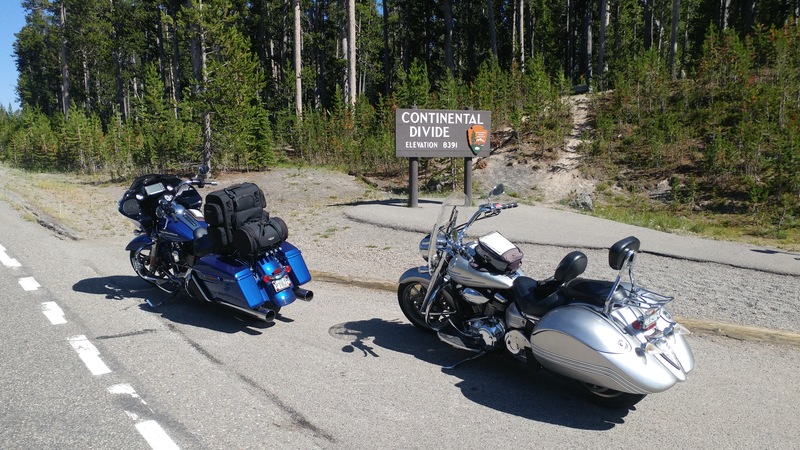 I spent two weeks with my friend Les and…I crossed the 1,000,000 mile mark somewhere in Montana . 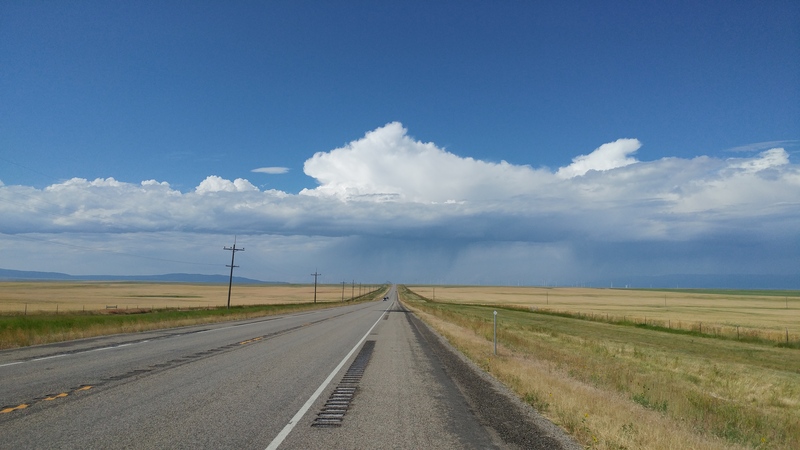 We traveled the Western U.S for nearly 6000 miles, rode in 100+ degree weather, got rained on, hailed on, met great people and had one hell of a good time. 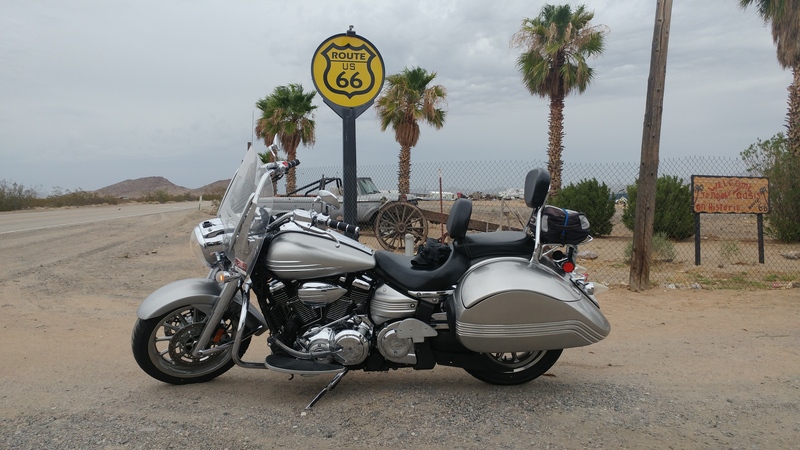 Hundreds of miles at triple digit speeds, and lot’s of gas station stops…my Roadliner drinks lots of 91 octane and Les has to pee a lot (he drinks a LOT of water). Big bikes drink a lot of dead dinosaurs on this stretch of road, and don’t ask me where this is, I can’t even remember why I walked into the kitchen 15 minutes ago much less where I was five months ago?!?! Here is yet another part of the ride where we got a chance to let the bikes stretch their legs. I was riding comfortably at about 100 miles per hour and Les was a ways back, but then I saw headlights coming closer..closer and then in the blink of an eye this big blue Harley passes by at 120!!! When did Harley’s get that fast??!!?? Now, those speeds only put us into that storm ahead sooner. Well, it was fun getting there. The trip was a great experience and I’m happy that Les wanted to do this with me. I love traveling on a motorcycle. You see more, feel more and you are more alive. You, your motorcycle and a good friend seeing the world. What could be better? Not much. In the Gallery section of this website is the full photo album. It’s kind of random because I’ve pulled photo’s out here and there for other posts but you’ll get an idea of how wonderful this trip really was. One Million miles…I’m the luckiest guy in the world.